The rationale of the plant biology advice site is to offer useful information to people with an interest in plants: whether they be the enthusiastic amateur; the keen gardener; or at university as a plant biology student or post-doctoral research scientist. The Plants Guide aims to give in depth advice and articles about all aspects of botany taught at university, subjects range from introductory plant biology through to indepth articles on plant molecular biology. The plant biology guide presently features articles on Leaf Senescence; Flowering time; Phytochromes; Cytokinins; Stomatal development; Vitamin biosynthesis and Microarrays. It is planned to add new articles at regular intervals to cover a broad range of topics. The final section Molecular Biology Laboratory Methods gives information about techniques typically employed in biological labs today. 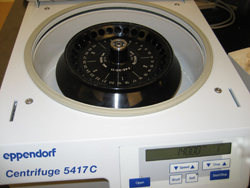 The methods that are described range from basic techniques like pouring agarose gels, to advanced techniques such as EMS Mutagenesis, real-time PCR, Northern Blotting, and microarray analyses. It is hoped to expand this section to include molecular biology protocols in the near future. A feature of the gardening and flower section is that it gives detailed information of the best time to sow out seeds, ensuring that your garden will reach its full potential. It is hoped that by reading the plant biology gardening guide that you will be able to produce beautiful flowers. Articles range from information on frost dates through to ideal butterfly garden plants. If you have grown a fantastic looking specimen and would like it displayed on this site, then please send me an email, via the contacts page, and I'll get it online in the relevant species page as soon as I can. Information on growing plants such as the peruvian lily can be found by using the garden plants index or by use of the list of scientific name of plants. We have a new vegetable section; this includes advice on sowing, growing and harvesting plants for consumption, examples include growing celery, growing tomatoes, and growing peppers. The eventual aim of the plant biology advice site is to be a one-stop point of call for all people with a love of botany and an interest in the biology of plants, whether scientific or for pleasure. We feel that the college section of the site, now over at http://www.universityreview.org and the gardening advice offered, now over at http://www.gardenershq.com - will be of great general use and hope that you enjoy your visit to the site; whether you need to know how to grow a kiwi fruit or perform microarray analysis of plant RNA at university we hope to be of service. Please feel free to contact me with ideas for the plant biology site. If you enjoy this site be sure to sign up for our gardening newsletter.